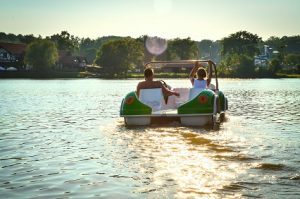 In this article, we will look at the best paddle boats for you and a few friends to take out on the lake. What could be better than to take a nice trip around the lake with a few of your friends? What better way to spend a day on the lake than to take a spin around the lake and get a little exercise along the way. We did an exhaustive search online to find examples of a 5 person paddle boat. We were really happy to find out that we could find a good number of paddle boats. 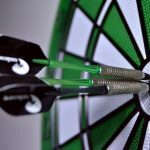 Most of these paddle boat reviews will give you enough information to make an informed decision to see if any of these are right for you. 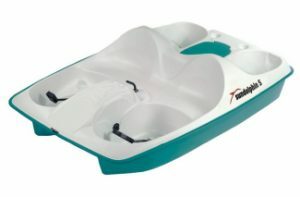 This Sun Dolphin pedal boat is a great boat to take around the lake and is a great 5 person paddle boat. The Sun Slider is roomy enough for five people to sit fairly comfortably with three in the front and two in the back. The seat backs are fully adjustable with handgrips so that you can easily position them. There are built in storage areas that can be used to store things or add ice to them and use as a cooler so you can have some cold drinks while out on the lake. No need to worry if it starts to rain when you’re out on the lake, the water-resistant, marine polyester canopy will keep you dry. If it’s a sunny day and you want to catch some rays, you can easily fold the canopy down. This five person pedal boat is great for taking a leisurely spin around the lake for yourself or you and four of your friends. You can use it with the canopy up or fold down, but the shade is always nice with the canopy and it helps keep you dry just in case a stray shower pops up. 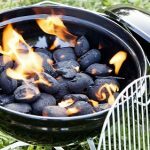 It has built in coolers for storing cold drinks and food and also has recessed drink holders so you don’t have to hold the drinks. It has 3-position pedal cranks with a tilt steering system so you will always have control. The sturdy paddle wheel will hold up to a lot of use. There is even an integrated motor mount to attach a small electric motor if you want. All in all, this is a great little boat to take out on the lake with a few of your friends. The Sun Dolphin Water Wheeler gives you the best of both worlds when you want to go out on the lake. You can get some exercise while going around the lake by pedaling or you can use the whisper quiet trolling motor and really relax while out on the lake. There’s a built in a storage area that can also be used as a cooler, just add some ice and keep your drinks cool. There are also drink holders so you can keep your hands free. The canopy can be used to protect you from the sun while out and about or fold it back and catch some rays, it’s completely up to you. This pedal boat seats five, three adults and two kids or two small adults. The seats are fully adjustable for comfort and you can even use them as a sun lounger if you wish. Whether you want to leisurely pedal around the lake or use the multi-speed trolling motor, this pedal boat is a dream to use. 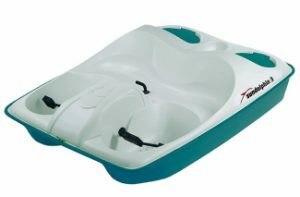 Nice, comfortable, rugged and fun go out in, what more could you want in a pedal boat? 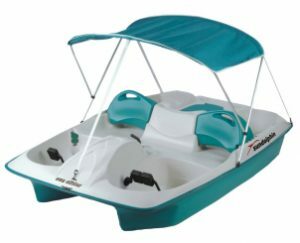 This five seat pedal boat by Sun Dolphin is a basic pedal boat that’s great to use to take the kids out on the lake and even let them pedal the boat. It can seat three adults in the front comfortably and two kids in the back, but you also can let the kids sit up front and try out pedaling themselves, they may tire quickly though. The boat is rugged and all three up front can pedal if they wish. 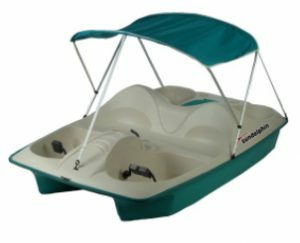 Since this is a basic pedal boat, it doesn’t come with a canopy, so be sure to make sure everyone uses sunscreen out on the lake. There’s a storage area to store things or fill it with ice and use it as a cooler, keeps your soda’s nice and cold too. Weighing in at about 100 pounds or so, the boat can easily be moved in and out of the water by two adults or teenagers, while it’s too heavy for kids to move it, they can help. The Sun Dolphin Sun Slider 3 Seat Pedal Boat is great for a couple to use to go out on the lake. The boat can easily be moved in and out of the water by two people. The rugged deck and hull can take a lot of abuse that you or your friends may give it and it has a sturdy paddle wheel that can take some bumps if you happen to run into some rocks. 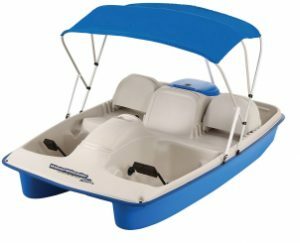 It has a storage area to store your gear or you can fill it with ice to keep your drinks cold and the seats are fairly comfortable and can seat up to three people and all three can operate the boat and the tilt steering system is easy to use. The only negative on this is the seat and pedal positions are not adjustable, so someone who is very tall may be a bit uncomfortable trying to pedal the boat. Anyone who is about 6 feet tall or shorter should have no trouble with the two outer seats, the middle seat seems to be made more for a kid. All in all, this is a best pedal boat for the cost for a couple or for someone who has older children that they let go out on the lake. The kids themselves may need your help moving it in and out of the water, but they won’t have any issues operating it on the lake unless they are very short. If you are a very tall person, try the seat out before completely discounting this one, it really is a good deal.